Twitter has not exactly survived the last few months with a sterling reputation, in between continued controversy over its failure to adequately address rampant harassment, allegations it sold political ads to Russian foreign agents, and most recently news it had verified the account of neo-Nazi Charlottesville organizer Jason Kessler. Then there’s Twitter’s, uh, presidential problem, which may technically be good for the company’s traffic but creates a host of other problems with no signs of ebbing in the near future. But Bloomberg has apparently not lost hope in Jack Dorsey’s angry brainchild, and is moving forward with plans to launch a “24-hour social news network on Twitter” on December 18th, Axios reported. The new site has secured founding partnerships with “Goldman Sachs, Infiniti, TD Ameritrade, CA Technologies, AT&T and CME Group,” per Axios, with more in the works—and said partnerships each brought in an average of $1.5-3 million, meaning the network has already rolled in significant revenue. Around 50 staffers will contribute to the site, which Bloomberg Media CEO Justin Smith told Axios is part of “a relentless focus on invention and innovation” in an age where Facebook and Google maintain an iron fist on online advertising dollars. In general, figures shown to Axios showed good growth in Bloomberg’s digital advertising revenue. 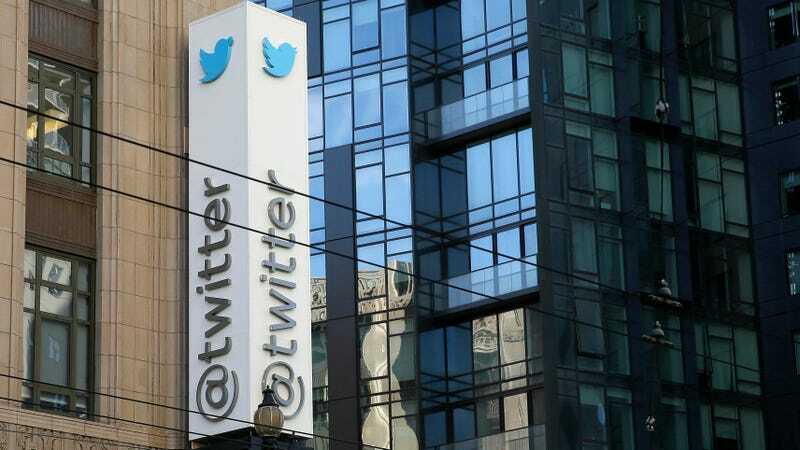 Bloomberg itself reported earlier in the day Twitter is trying to build out its data analytics business with subscriptions for software developers. Twitter is already brimming with journalists, though usually said reporters use them to build personal brands as they link out to their organizations’ websites. This seems like a different approach, though the past decade of digital media’s reliance on social media is littered with prominent failures (anyone remember all the resources splurged on Facebook Live after BuzzFeed destroyed a watermelon?). The project would also de facto live on Twitter and thus be subject to the platform’s problems as well as its whims and fancies, a similar problem to that troubling Facebook-dependent media organizations so much as well. While Twitter has historically lost money, the company’s earning reports last month said it was on track to profitability this year. It’ll be interesting to see where this all goes. 280-character tweets certainly can’t be hurting their chances.